Join us on November 30, 2017 at the CT Convention Center in Hartford! The Alliance is thrilled to welcome as a Keynote Speaker to the 2017 Annual Nonprofit Conference, Jacob Harold, President & CEO of GuideStar. 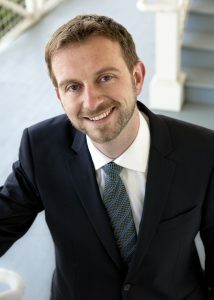 Jacob Harold is known as a respected grant-maker, social change strategist, and author. He has written extensively on climate change, philanthropic strategy, and other nonprofit issues. 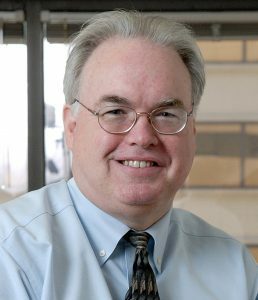 Harold joined GuideStar in 2012, to direct the largest platform of information and data for nonprofits. Harold previously led the Philanthropy Program at Hewlett Foundation, where he oversaw $30 million in grants that aimed to build a 21st century infrastructure for smart giving. Harold is considered a visionary and gifted leader in the philanthropic and nonprofit worlds. In 2014, 2015, and 2016, NonProfit Times (NPT) Harold was named to the Power and Influence Top 50 lists, and currently serves as a term member for the Council on Foreign Relations. Jacob Harold joins our Nonprofit Conference as keynote speaker to share his vision for the future of philanthropy and new and creative ways for nonprofits to partner together to maximize opportunities. Jacob Harold will be joining a star lineup that also features Tim Delaney, President and CEO of the National Council of Nonprofits. Don’t miss it! An attorney with extensive leadership experience in the business, government, and nonprofit sectors, Tim Delaney has served as the President & CEO of the National Council of Nonprofits since July 2008. Tim began his career at a large multi-state law firm, where he focused on litigation, media law, and government relations. Appointed in 1995 to be Arizona’s Solicitor General, Tim successfully guided Arizona to win several cases in the U.S. Supreme Court. He later chaired the Transition Team for the newly-elected Attorney General, who promoted him to the top staff position of Chief Deputy Attorney General. In 2001, Tim left the Attorney General’s Office to create the Center for Leadership, Ethics & Public Service, an independent nonprofit through which he worked with more than 22,000 people across the country championing positive ethics, advancing civic engagement, and promoting democracy. During his career, Tim has helped nonprofits from a variety of vantage points, including as an attorney, author, board chair, CEO, consultant, founder, incubator, lobbyist, teacher, trainer, and volunteer. Tim previously served as board chair of Valley Leadership, adjunct faculty member at a major university teaching courses on “Leadership & Ethics in the Nonprofit Sector,” author of a guidebook on nonprofit advocacy, and as a national Training Fellow for the nonpartisan Center for Lobbying in the Public Interest, which the National Council absorbed as part of its operations in 2012. He currently represents North America on the Steering Committee of the international Affinity Group of National Associations within CIVICUS.